Godsmack is a hard rock/alternative metal band from Lawrence, Massachusetts, United States which formed in 1995. They are often mis-categorized as post-grunge or nu metal. The band comprises founder, frontman and songwriter Sully Erna, guitarist Tony Rombola, bassist Robbie Merrill, and drummer Shannon Larkin. Since its formation, Godsmack has released five studio albums, one EP, four DVDs, and one greatest hits collection. The band has had three consecutive #1 albums (Faceless,IV,The Oracle) on the Billboard 200. Godsmack's fifth studio album, titled The Oracle was released on May 3, 2010. The band has also parked a ratified 18 top ten rock radio hits, including 15 songs in the Top Five, more than bands such as Linkin Park and Metallica. Godsmack are one of the most popular metal acts of the last decade in the United States, selling over 19 million records worldwide. Since its inception, Godsmack has toured on Ozzfest on more than one occasion, and have toured with many other large tours and festivals, including supporting its albums with its own arena tours. In the summer of 2009, Godsmack toured as support to M?tley Cr?e's Cr?e Fest 2 tour. In February 1995, Sully Erna decided to start a new band as the lead singer after playing the drums for more than 23 years, including over two years in the now-defunct band Strip Mind. His new band The Scam formed with Erna on vocals, Robbie Merrill on bass, local guitarist and friend Lee Richards on guitar, and Tommy Stewart on drums. The Scam quickly changed its name to Godsmack, after recording one demo. The newly formed band started playing small bars in their hometown of Boston, Mass.. Locally popular songs such as "Keep Away" and "Whatever" soon brought them to the top of the hit charts in the Boston/New England area. The band's name, according to Merrill in the Smack This! DVD, was taken from the Alice in Chains' song "God Smack". However, Erna stated in a 1999 interview that "I was making fun of somebody who had a cold sore on his lip and the next day I had one myself and somebody said, 'It's a godsmack.' The name stuck. We were aware of the Alice in Chains song but didn't really think much about it. It's a cool song and the name had meaning for us". In 1996, Tony Rombola and Joe D'Arco joined Godsmack as the guitarist and drummer, after Richards left after finding out he had a six-year-old child and Stewart left due to personal differences. In the same year the band entered the studio for the first time, recording its first CD titled "All Wound Up". The CD was recorded in just three days for $2,600. For the next two years, the band played throughout the Boston area. Eventually Godsmack's CD landed in the hands of Rocko, the night-time DJ for Boston radio station WAAF (FM). The radio station put "Keep Away" into heavy rotation and the song rose to the number one spot at the station very quickly. Newbury Comics, a New England record store chain, agreed to sell the CD on consignment. Shortly after the success of "Keep Away", Godsmack went back into the studio and recorded a single titled "Whatever", which became the new local favorite on WAAF (FM). In an interview Sully Erna stated, "we had been selling maybe 50 copies a month at the time WAAF picked up the album. All of a sudden we started moving over records a week. It was insane. Even crazier, I was doing all this from my bedroom. After years of grinding away, things finally started taking off." Alice in Chains is believed to be the primary influence to Godsmack. Many believe Godsmack obtained their name from the Alice in Chains song "God Smack" off the album Dirt. In an interview with MTV upon the death of Alice in Chains lead singer Layne Staley, Godsmack frontman Sully Erna stated that Staley "was single-handedly the guy that got me to start singing." Erna went on to later confirm that indeed "God Smack" is the inspiration for the bands name and the reason their sound sounds similar to that of Alice in Chains Other bands cited by Godsmack members as their primary influences typically include Aerosmith, Led Zeppelin, Rush, Black Sabbath, ? and White Zombie. 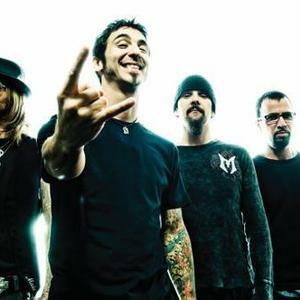 More recently, Godsmack have attempted to distance themselves from the Alice in Chains comparison with Erna stating in an interview with Matt Ashare, "I've just never really heard that in our music." In that same interview, Erna offers an alternative explanation to the origin of their band name by stating, "It happened at rehearsal when our drummer came in with a big cold sore on his lip. I was making fun of him all day because we had a photo shoot coming up. And then the next day when I came in, I had a big cold sore on my lip. So my guitar player said, See, God just smacked you for making fun of him." Nevertheless, the comparison to Alice in Chains is well documented. Sully Erna's style of singing mirrors that of Layne Staley's while the overall sound of the band's first two albums sound incredibly similar to the sound of Dirt. The logo of Godsmack is similar to the sun logo of Alice in Chains. Godsmack also released an album titled "Faceless" which is similar in name to Alice in Chain's first album Facelift. The band even transcended from their heavy sound to a more mellow acoustic sound on their album "The Other Side" in the same manner Alice in Chains did in "Jar of Flies". In 2002, Godsmack received a Grammy nomination in "Best Rock Instrumental Performance" for the song "Vampires" from the album Awake. In 2004, they opened for Metallica, while headlining with Dropbox in the summer. They did acoustic shows for their newly released album The Other Side in the fall of 2004, while still opening for Metallica. In September 2004, Godsmack issued a live DVD titled "Changes" which the band recorded earlier that year. That same month, the group also released "Batalla de los Tambores", a live cut available only via online services such as Apple's iTunes Music Store, Real and Napster. They released their latest album 'The Oracle' on May 3rd, 2010. Some songs from the album "Faceless" are also in the video game soundtrack for "Prince of Persia: Warrior Within". * Sully Erna - Vocals, Lyrics, Guitar and Percussion.